In 1999 the property team at Gibson Sheat decided that it needed to run its conveyancing transactions through an automated workflow product. They saw a need to provide a better service to their conveyancing clients, enhance communications with key players in the conveyancing transaction and create internal efficiency to enhance the bottom line. They researched the market and found that there were no products available to suit their needs. As a result they decided to create their own conveyancing workflow product. Sixteen years on the product has gone from strength to strength on the foundations built in the late 90’s. DIRECTOR Hello, I’m David, I am a partner in Gibson Sheat having qualified as a lawyer 40 years ago. I have specialised in conveyancing for most of that time and lead the Gibson Sheat Property Team. I have a specific interest in how information technology can be utilised in the legal industry particularly conveyancing. The initial conveyIT workflow product was developed many years ago for use within Gibson Sheat. I am passionate about conveyancing workflow and in seeing it embraced by the legal community. I am a director of the company but am also involved at the coalface providing input on precedents and enhancements, and advising on best process and how legislative changes impact on conveyIT. I have a law degree, 40 years experience in conveyancing, and 10 plus years experience in providing workflow solutions for law firms. Whilst conveyIT was initially based on an off the shelf workflow product we found that this provided only the base functionality and that we essentially had to write the workflow itself, create the tasks and task list that flowed from that, create a set of precedents flexible enough to be utilised in a variety of situations, and create a diary system for management of the transaction itself. This was not easy and took several years to achieve a result that we were happy with. Other than the challenge of creating conveyIT itself there were further challenges with enforcing compliance with its procedures, especially by legal executives with significant experience, but who did not want to change their ways. We found with perseverance that, without exception, we managed to convert all users to firm proponents of conveyIT. Our team were delighted that all the drudgery was removed from their day to day tasks leaving them in control of the actual interesting stuff. The results were that communications with clients were streamlined and communications with other stakeholders in the transaction, particularly Real Estate Agents, were enhanced. As a general rule we managed to get all reporting letters out to conveyancing clients on the day of settlement, rather than three or four days later which had been the norm. conveyIT in Gibson Sheat was a success because of the combined efforts of the Property Team lead by David Sarginson who were all passionate about the product. In reflecting on our own experience we came to the conclusion that most small to midsize law firms specialising in conveyancing would not have the skill set, nor determination required to implement a system such as conveyIT within their own practices and as a result believed that conveyIT was capable of being successfully commercialised. We approached a successful midsized firm in the Wairarapa and offered them a free three month trial. They accepted the trial and after the three month period bought conveyIT. In 2007 Gibson Sheat formed an independant company, Conveyancing Solutions Ltd who now own conveyIT. In 2012 CSL added conveyIT Infinitylaw to their product suit. In September 2015 CSL launched their new cloud based solution conveyIT Maestro which will break new ground and bring new efficiency to conveyancing. 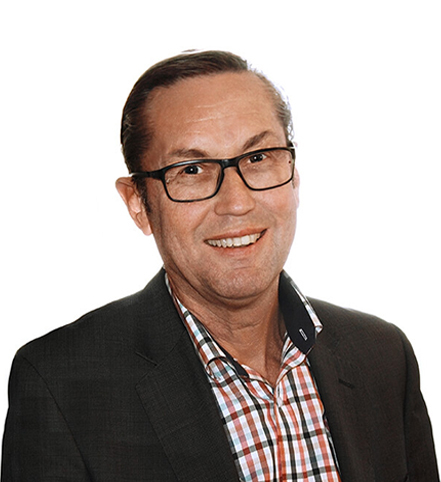 Building on the foundations of the past Conveyancing Solutions is now the preeminent supplier of conveyancing workflow systems to New Zealand Conveyancers. To achieve that we saw the need to have total control over product development so have rewritten it to run as a web based application. From here conveyIT Maestro was born. After two years of careful development it was great to see conveyIT Maestro launched on the 25th September 2015. Development of conveyIT Maestro won’t stop. Stage 2 is underway! We see integration with other products and practice management systems as vital in our evolution. Partnering is the key to our future. We see integration with Landonline, CoreLogic, Quotable Value and a number of the Real Estate CRM’s as of real benefit to our customers. We will also tighen integration with the major legal practice manager systems such as OneLaw, Junior partner to name just a few.